TCR II Suspension Brake & Alignment is Tucson’s premier alignment service shop. Since 19xx, we’ve been providing Tucson car owners with precise wheel alignment. Whether you’re driving a 1-ton service truck, a racer, a classic cruiser or an ordinary passenger car, we have the experience and specialty equipment to keep your vehicle in its best running condition. Do you have a lowered vehicle that’s difficult to lift or rack for repairs? Are your tires showing excessive wear? We can help – We have the special tools needed to fix any alignment problem. Why is wheel alignment service so important? Wheel alignment is important because it saves money on fuel, while giving you a smoother ride with better handling and increased safety. In fact, tire alignment is the easiest way to save money on your fuel costs. Crooked tires and deflated tires waste the work of your engine. Misaligned tires can have very high rolling resistance against the road surface, which means poor fuel economy. And, badly-aligned tires wear down their treads quickly. Misalignment can happen over a period of time, and it can become worse each time you hit a pothole or major bump in the road. So, over time your vehicle’s fuel consumption and handling slowly become worse. Alignment service restores your vehicle’s tires to their proper orientation, which saves on fuel and makes your ride smoother and easier to handle. The proper front end alignment gives you the smoothest ride possible and improves the vehicle’s handling characteristics. Once the wheels are aligned correctly your steering is straighter and requires less effort. 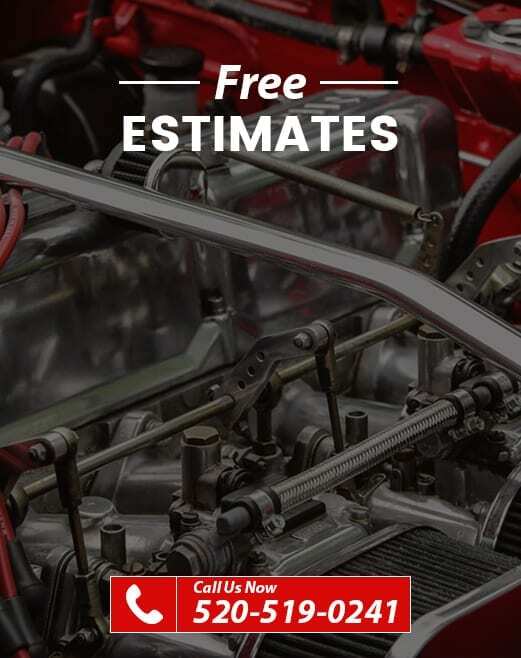 Whichever kind of vehicle you drive, our highly skilled automotive mechanics provide a perfect alignment so you will enjoy the smoothest ride and best savings on your fuel expenses. And, not only do we work quickly, we also provide access to financing so you can easily afford the repairs that you need right now. "Called on Monday night and on Tuesday morning. What great service at a great price! This is my first visit and I will guarantee it won't be my last." "I dealt with Mike. He explained everything to me and showed me the warn parts on my jeeps suspension. When it came time for my lift kit installation he helped me choose the best set up to meet my needs. They scheduled me in and were done with the work the same day I was scheduled for. Great work." "Very helpful staff. Always extremely busy (because they do great work.) But never too busy to answer your questions. Mr. Morales realllllly knows his stuff." "I bought tires and got an alignment from a tire shop and messed everything up new tires and all. I went to TCR they corrected everything. Good customer service good workmanship.Thank you so much, guys." Tucson's Suspension, Brake and Alignment Experts! TCR II Suspension Brake & Alignment is Tucson’s leading auto repair service. We have the skill and experience to quickly troubleshoot any problem and fix it at an affordable price. We guarantee our work, and we offer the best warranties in the automotive repair industry. Best of all, we offer access to financing, so you can afford the car repairs that you need today.